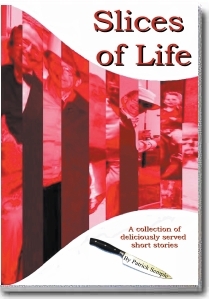 A collection of deliciously served short stories. A collection of Irish short stories. Patrick Semple has been an ordained minister of the Anglican Communion in Catholic Ireland, a curate working in Belfast at the start of the Troubles, a prison chaplain, a public speaker, an author, a teacher, a husband, a father and a born again Atheist. These stories are the observations of a person who has spent a lifetime serving other people. Each story tells us something about human nature and the lessons learnt from observing the lives of others. Every story is a slice of life.